A new app has been released to the android market, that may quickly become essential to any Londoner owning an android phone. 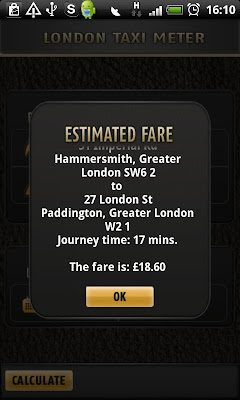 London Taxi Meter allows you to quickly calculate the estimated cost of black cab journeys in London! It's available for free in the android market, so if you live in London, what are you waiting for? ?